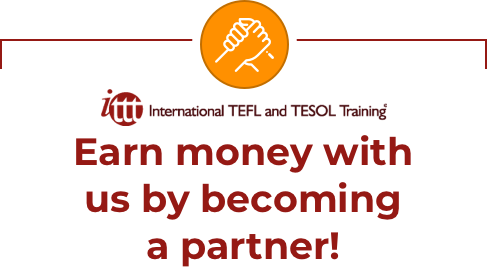 All you have to do is refer people to us who might be interested in teaching English abroad and taking one of our TEFL/TESOL courses. You can earn a 30% commission on any online course or deposit payment for a 4-week in-class course or combined course. Please visit Signup and complete the simple set-up steps. Once you have registered as a partner, all you have to do is invite people to visit our site and sit back and watch your commission build! If you don't have your own website, you can invite your friends, family members, online forum friends, online community friends, etc., to visit our site. We will provide a special link for you. If you have a website or related blog that you mantain or contribute to, you can link to our site via a banner and / or some embedded text. You can also use social media or email. We will provide a special link for you. You will be able to login and view applications from your referrals as well as payments made and commission owned. We will send your commission via PayPal or bank transfer.